On the Kurdish question, scholarly work and media coverage have mainly focused on the Kurdish regions of Turkey, Iraq, and Iran, sidelining the Kurdish issue in Syria. But understanding the rapidly changing developments in Syria has become a strategic necessity. Other than inflicting a series of defeats on ISIS, what has been noteworthy is the speed with which the Kurds have emerged from obscurity to become a major force in Syria. Thomas Jefferson was regarded as the founding father of “American decentralism.” Sketching his ideal in a letter from Monticello in 1824, Jefferson favored the creation of smaller “wards.” In Jefferson’s description, each ward would thus be a small republic within itself, and every man in the state would thus become an acting member of the common government, subordinate indeed, yet important, and entirely within his competence. It turned out that such “wards” have also been formulating through the locals of “Western Kurdistan,” this time under the name of “cantons.” By the summer of 2012, as Syria collapsed into fighting factions, the Syrian Democratic Forces (PYD) moved decisively to assert control over three pockets of territory with majority Kurdish populations in the north of Syria: Jazira, Kobane, and Afrin. By early 2014, the PYD had styled these as “cantons” of local administration under the collective name Rojava (‘West’) to represent Western Kurdistan, and had held elections to local assemblies. Rojava’s model aims to be inclusive, and people from a range of different backgrounds are encouraged to be involved (including Kurds, Arabs, Assyrians, Syrian Turkmen, and Yazidis). A decision was even made to introduce affirmative action for ethnic minorities. There is also a quota for women’s participation in government, as well as for youth. Many analysts look at Rojava’s decentralism model to be influenced by a type of “libertarian socialism,” under which states become less relevant and people govern through councils, in contrast to national sovereignty, which places the power in the hands of government. “Libertarian socialism” is a fairly recently coined term for a fairly old idea: socialists who embrace the view that individuals should be free. However, they differ from what we generally understand by the term ‘libertarian’ in denying the right to private property. Thus, “left libertarians” embrace the view that natural resources, land, trees, and so on should be held collectively. But libertarian socialism is unable to explain to us how such a system is more efficient in the creation and distribution of wealth. 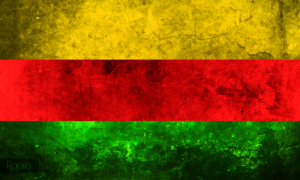 Predictions about Rojava’s performance may remain speculative. Profoundly isolated from mainstream economics, left-wing anarchists rarely explained how their preferred society would function. Although economic development is an incremental process (investing in physical and human capital, and making marginal improvements in the rule of law), the doorstep conditions toward development mean that the process is not easy to engineer. As it exists today, the autonomous region of Rojava is one of the few bright spots to emerge from the tragedy of the Syrian crisis. Despite the hostility of almost all of its neighbors, it has not only maintained its independence, but also followed a remarkable democratic experiment that has the most progressive women’s rights record and a multi-ethnic, multi-religious model for the region. Rojava has also armed forces that are effectively fighting ISIS. By recognizing Rojava’s potential, the U.S. would gain a viable democratic partner in the fight against ISIS. It would be a strategic mistake to confine America’s foreign relations to nation-states alone, which are rapidly losing their exclusive claim in representing the peoples of the Middle East.